Vasco da Gama are set to sign forward Duvier Riascos on loan from Cruzeiro, according to reports. Website Xinhuanet claims that the Colombian could join Vasco, after the newly-promoted outfit offered him a deal worth around $30,000 per month. Riascos was only signed by Cruzeiro from Liga MX outfit Morelia for a reported fee of €992,000 in January, but has struggled to make an impression. In the Copa Libertadores de América, he has played just 24 minutes and has not even made the squad for seven of Cruzeiro’s nine matches, while he is also yet to feature in the Brasileirão, despite being named as a substitute twice. The journeyman has spent much of his career in Mexico, after having a loan spell at Shanghai Greenland Shenhua from América de Cali between February and June in 2011. 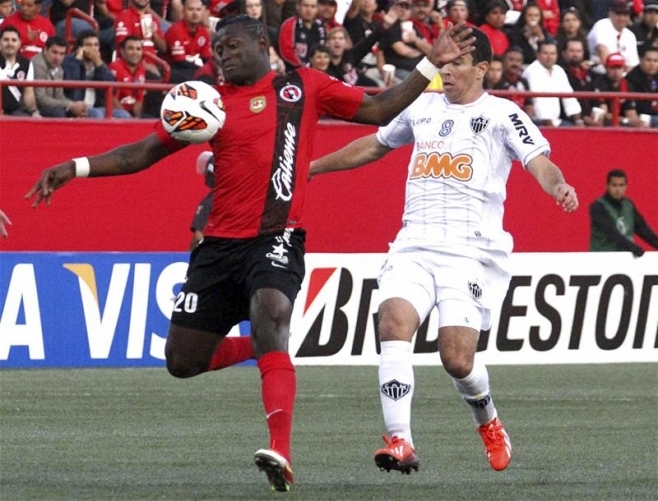 After initially joining América, he went on to be loaned out to Puebla, before being bought by Tijuana in January 2012. With them, he was part of a side that won the 2012 Torneo Apertura and was on sold on to Pachuca for a reported fee of €7.6 million in July 2013. That switch yielded just two goals in 18 matches and after managing only two in 21 appearances following a switch to Morelia, he was signed by Cruzeiro. If Riascos does make the move to Vasco, he is expected to sign with them until June 2016.